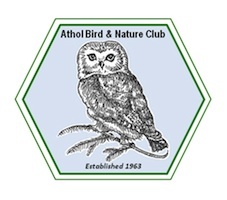 The Athol Bird and Nature Club, organized in 1963 by Robert B. Coyle, Jr., is a non-profit 501(c)(3) organization. The Club is self-supporting, maintained and operated by volunteers. The Club is the managing partner of the Millers River Environmental Center. Staffed programs run at the Center are funded by grants and generous donations from members and friends. Your donation may qualify as a charitable deduction for federal income tax purposes. Consult with your tax advisor. We invite you to click here to use our Online Donation Form to make a donation to support our environmental programs and initiatives, to support our occasional fundraisers, or in memory of Robert Coyle. You may also send a donation at any time by check made out to ABNC and sent to us at 100 Main Street, Athol MA 01331-2222. On the Online Donation Form you will have the option to pay by check or by credit card. If you choose check, we will e-mail you a copy of your form to print and mail in with your check. If you choose credit card, you will be sent to PayPal to choose the billing details. Donations are used to support speakers at the monthly ABNC Club Meetings, other staffed programs run at the Environmental Center, the operation of the Center (heat and lights), and the care of ABNC’s Natural History collection. If you would like to join ABNC or renew your membership, please click here to use our Online Membership Form.